Arcade Video Game published 6 years ago by Konami Digital Ent. 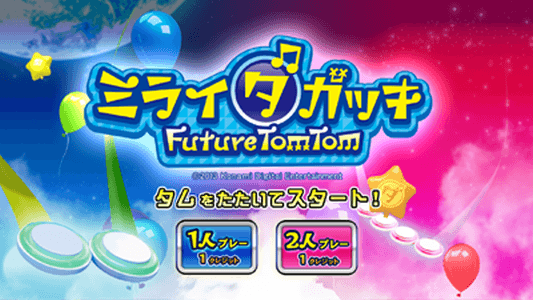 Mirai Dagakki: Future TomTom © 2013 Konami Digital Ent. Company, Limited. The title of this game can be translated as "Percussion Instrument from the Future: Future Tom Tom". 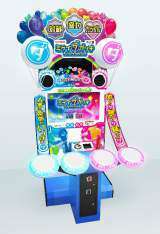 This game was shown at JAEPO 2013. Then, it was released on June 20, 2013.